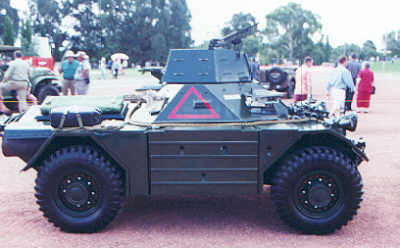 This series of photos of a restored Australian Ferret Mk.2/3 with .30 M1919A4 machine gun turret was taken at the open day at the Australian War Memorial 6 February 2001. 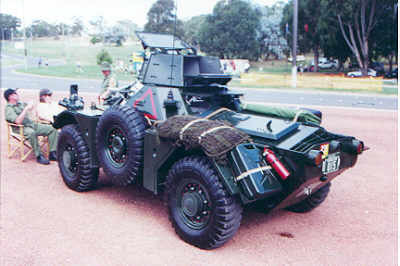 For those who have purchased an Aussie Armour ferret here is some references for your edification. A ferret in pristine condition. 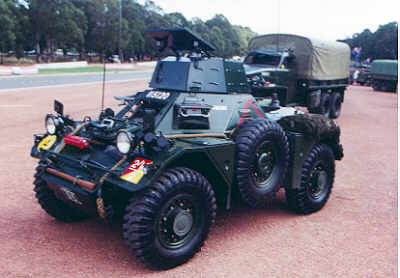 Points to note include the colourful markings which includes the white ARN (army registration number), yellow bridging circle, unit sign, squadron marking (red triangle) and vehicle name. The red/yellow arm of service marking of the armoured corps with 2/14 over 2 as the unit identification. 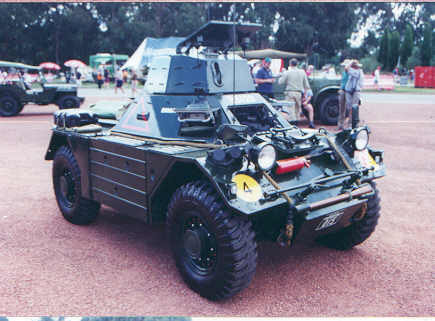 Note the white wheel nuts as they may have been . The overall colour is a rich dark green, in this case finished in a gloss, or possibly polished. Note the stowage of gear - no doubt there may have been unit rules about what went where but each made their own choice in the field and during exercises. 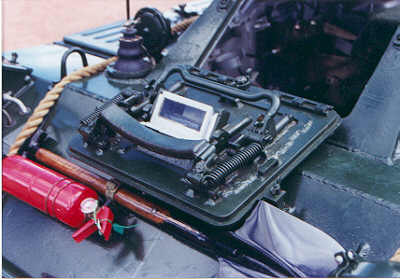 Detailed view of the drivers hatch with all the internal bits attached. 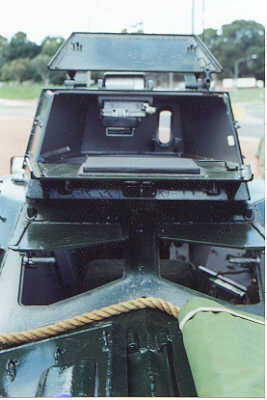 A good look inside the turret from the rear. No machine gun. 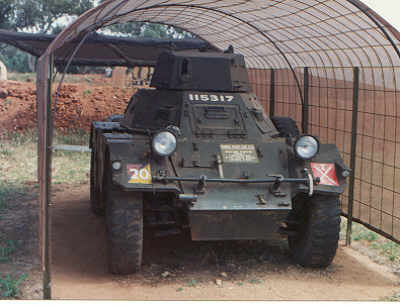 Taken at a museum near the Dubbo NSW Zoo by Pat Couch. the colour here could well have been the same gloss green but has weathered down to a matt dirty grey-green in appearance.